Designed to fit most handlebars up to 33mm, the Arkon RoadVise Bike Mount allows you to attach your phone on your handlebars in either landscape or portrait orientation. 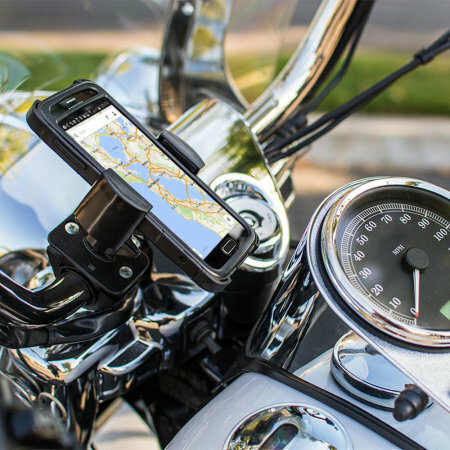 The Arkon RoadVise Bike Mount for Smartphones can be mounted onto most motorcycle handlebars up to a diameter of 33mm. With this mount you can attach your smartphone in portrait orientation to your motorcycle or bike. 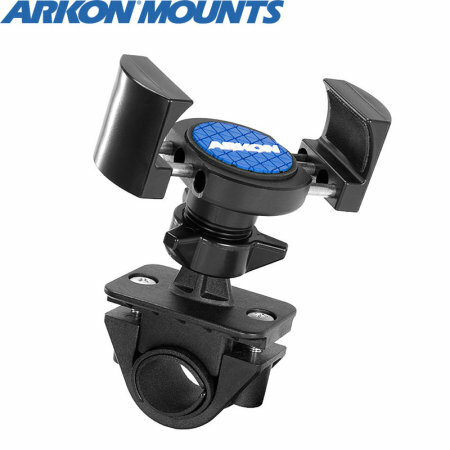 The Arkon RoadVise Bike Mount has a universal fitting and has been designed to take any smartphone with a maximum width of 4". This includes larger devices including the iPhone X, iPhone 8 Plus and the Samsung Galaxy S9+. Additionally, the mount is case compatible meaning there's no need to remove your case when mounting your device and ensures your device is kept protected. 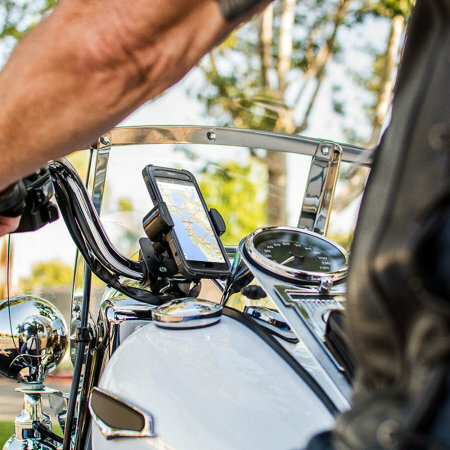 Installing the RoadVise Mount to the handlebars of your motorbike is quick and simple. Using the included hex key, attach the mounting clamp to your bars with the appropriate sized adapter for a secure fit. The RoadVise includes three different sized spacer / adapter rings to provide an optimum fit. 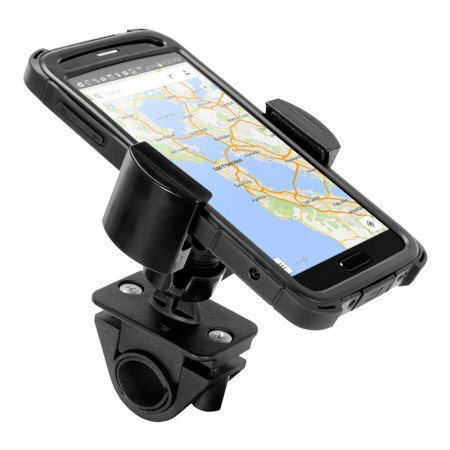 With the Arkon RoadVise's smooth ball joint design, you can rotate your device 360 degrees for landscape and portrait orientation, allowing you to mount your smartphone at any angle you find comfortable.